Mary Todd arrives at her sister’s home in Springfield, Ill. with the reluctant understanding that she is to find herself a suitable husband. 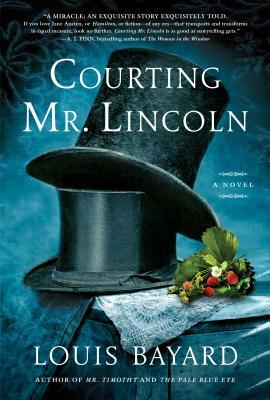 A prominent town hostess applies a touch of subterfuge to help bring about the improbable courtship of Mary and Abraham Lincoln. Their courtship rapidly runs the gamut from hesitant to glorious to perilous, and then ends abruptly. It seems that only the strident bullheadedness of both parties is responsible for bringing them together again, this time for life. Bayard succeeds in giving the reader a nerve-wracking, but ultimately satisfying, rollercoaster ride!